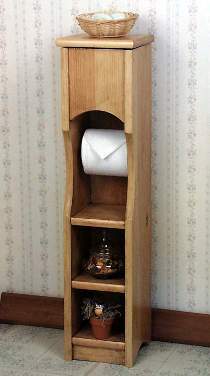 Bathroom storage cabinet hides a roll of toilet paper in the hinged top compartment. Measures 30"H x 7"W x 7"D. Plans drawn FULL SIZE. Order one toilet paper roller, and one pair of hinges separately below.